Welcome to our congregation! 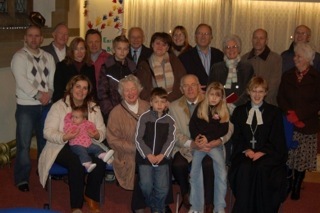 Since the congregation was first formed, religious services have been held in various places. At the moment, services are still held not only in Swansea, but also in Bristol, and in the last few years have started in the island of Guernsey as well. We hope in future to organise services in Cardiff too. Unfortunately, because of the present circumstances, services in each of these places take place only a few times a year. For information about the services at the following venues please contact the pastor or chairperson. Alternatively, further information on times and dates in Latvian is available here.